Welcome to 'Twin Palms' - Location, Location, Location! 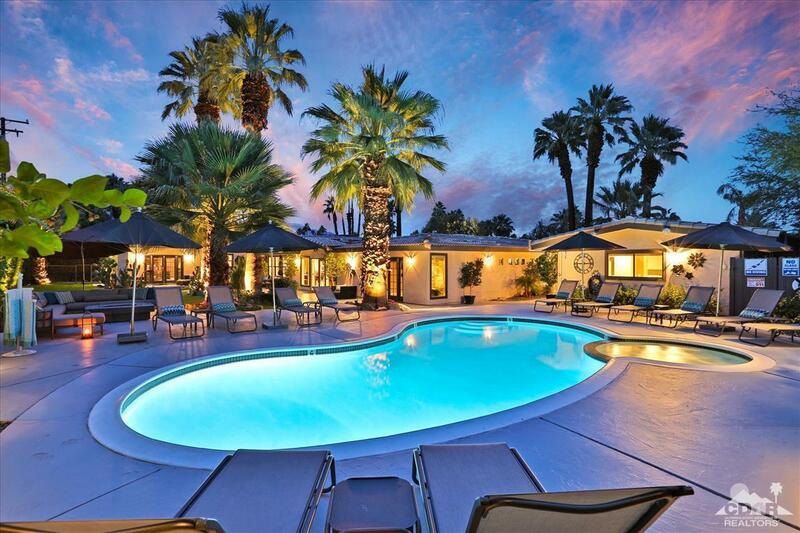 Twin Palms is at one of the best locations in the desert, just a 4 block, 5-minute walk to El Paseo - the 'Rodeo Drive of the Desert'. This 4,593 sq ft, completely renovated home, has everything you could possibly want for your friends & family. 6 bedrooms and 4 baths, with two large, detached casitas for privacy, are just the right size. Featuring an open plan with family room, living room, exercise room, chef's kitchen, including pool table, ping pong, foosball, x-box, and exercise equipment, there is something for everyone. Enjoy entertaining in the south facing back yard, listening to the Sonos sound system, hanging out around the pool & spa under the misters & firing up the grill to dine under the stars in the courtyard dining space. Pick your own oranges for fresh-squeezed juice in the mornings. Close to world-class golf, tennis, hiking, biking, shopping, dining, theater, & all that the desert has to offer. No HOA's!